"The installation of the water meter, vault and line by GHS last week...was the best road construction job I have witnessed in a long time!" 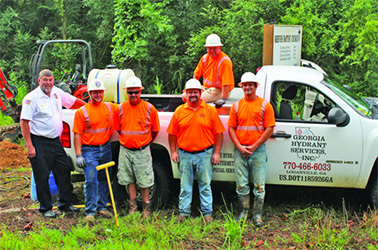 As one of several SPLOST projects Gordon County has plans for over the next five years, some 400 plus hydrants will eventually be installed across unincorporated Gordon County. 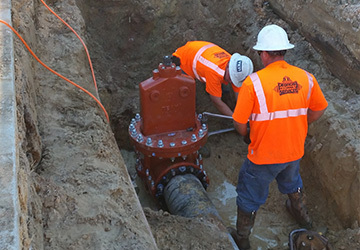 We competed this 8" Backflow Valut Installation project compliant under the City of Atlanta code and guidelines. A 4hr shutdown was planed and the service was completed within the time allotment without any problems. 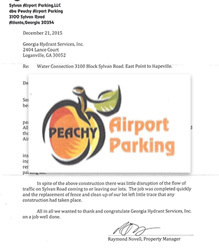 This project was for the City of East Point. 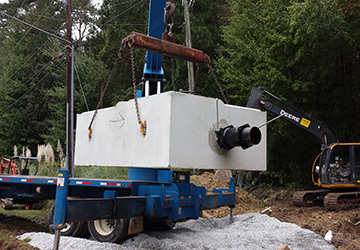 We installed an 8" Meter & Backflow System to enable the City of East Point to provide water to the City of Hapeville. The project was completed successfully with all parties happy! 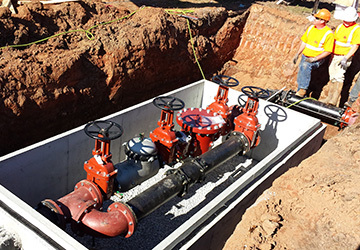 When Fort Gordon embarked on a project to remodel and add new barracks on the base, they needed a Valve Insertion with 100% of all parts made and assembled in the USA. They also needed it done without interuption of the water main to prevent many businesses and restrants that were on the line from being without water. We're proud to say it was a successful installation. Contact Us to dicuss how we might be of help on your next project. How Can We Help On Your Project?